(LtoR) Operations Manager, Paul Gray and his uncle and Director, Alan Gray. Before any of the conversion work was carried out. An old dairy was demolished as part of the conversion work. 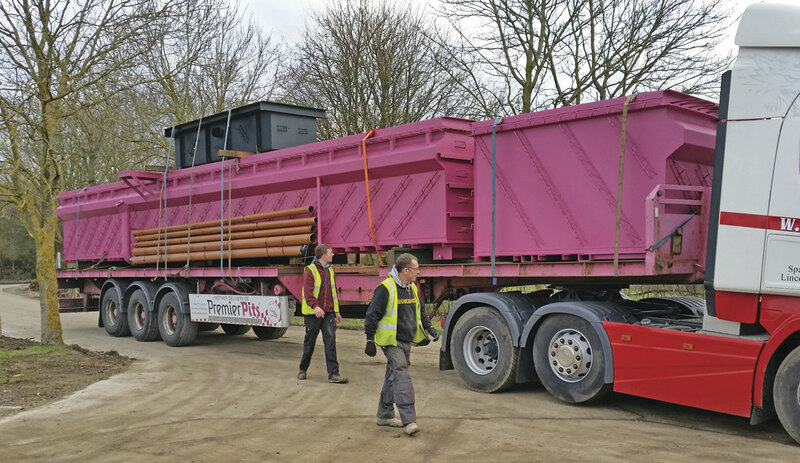 A Premier Pit is delivered for installation in the depot. Now complete, the ATF lane building alongside the two bay workshop and depot. Inside Grayline’s ATF lane facility. There is much more parking space available for the fleet. This Iveco EuroRider based Beulas Cygnus is one of the newest vehicles in Grayline’s fleet. A Volvo B12B based Jonckheere. 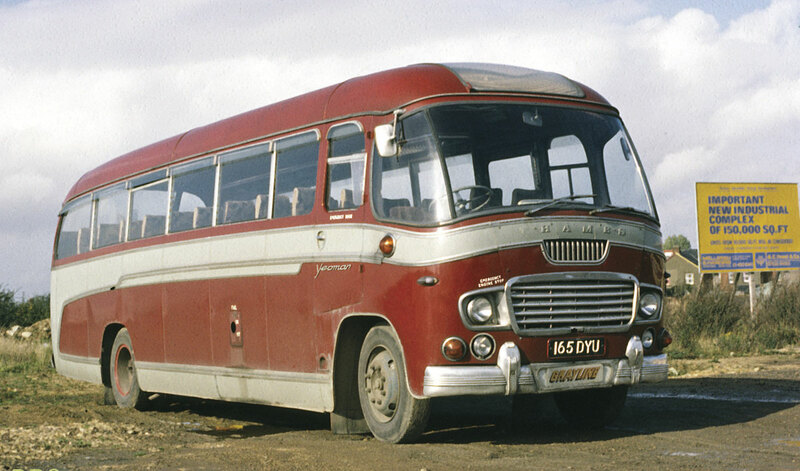 Forty years ago this Ford Thames Duple Yeoman sported the maroon and grey colours Grayline used at the time. Seen in London, this 1997 Berkhof Axial might sport an MAN logo on the front but it is actually a Dennis Javelin as the grille ahead of the rear axle shows. 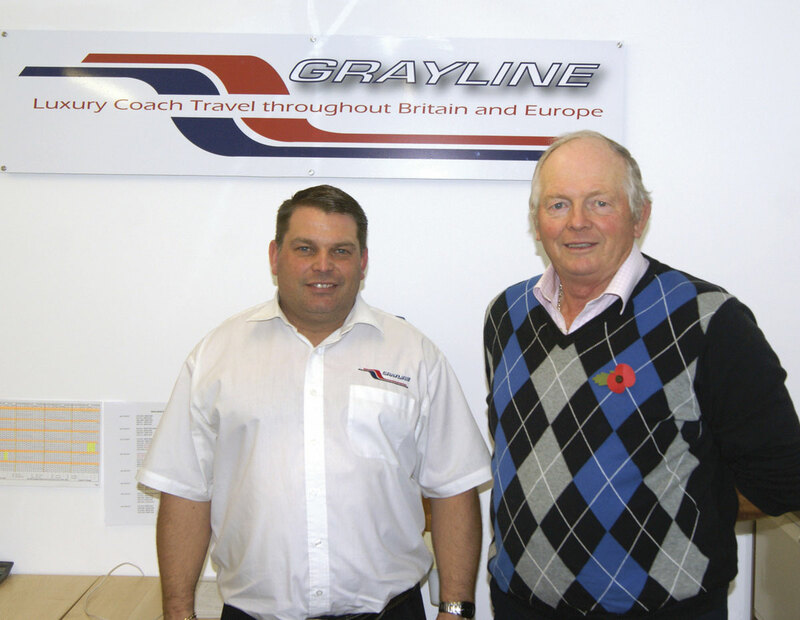 After 35 years in their Bicester depot, family run operator, Grayline Coaches, has moved. As it enters its 60th year of operation, the company now inhabits a former farm just a couple of miles outside of Bicester, which has been extensively converted to create a facility made to measure for them. It was a major investment and was a stressful time for Operations Manager, Paul Gray, but one he thought was very much worthwhile. Chris Peat visited the new site recently to see how the company is getting on in its new base. Although Paul now considers the move a very positive step, it was not initially Grayline’s decision. The company’s old site was originally part of Bicester’s railway station, which was decommissioned in the 70s. Grayline moved in there in 1980. Before that, the operation had been based elsewhere in the town, then owned by the parents of Alan Gray (Paul’s uncle and current Director of the company). In 1976, Alan ‘resurrected’ the business after its operations began to downsize. It was around this time that Alan’s brother, Brian, joined the family firm. Brian had run his own fleet in Gosforth and combined this operation into Grayline’s business. It remains a family run operation, with Paul’s brother, Stuart, working as Traffic Manager. In the end, the building Grayline ended up moving into seems to have been meant to be. Whilst on a school run, Paul drove by the old farm site as the estate agents were nailing up a ‘For Sale’ sign. He consulted Alan Gray, his uncle and Director and the rest of his family, then viewed the site the same day. The following day an offer was made and accepted. It became Grayline’s on 1 December 2014 and the development process began. 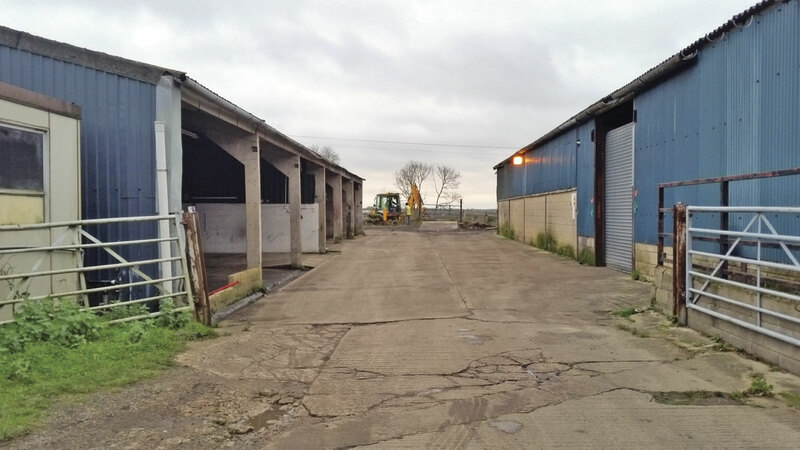 As the conversion of the new site into a depot progressed, the fleet gradually moved in, with half still at the former building and half at the new one. 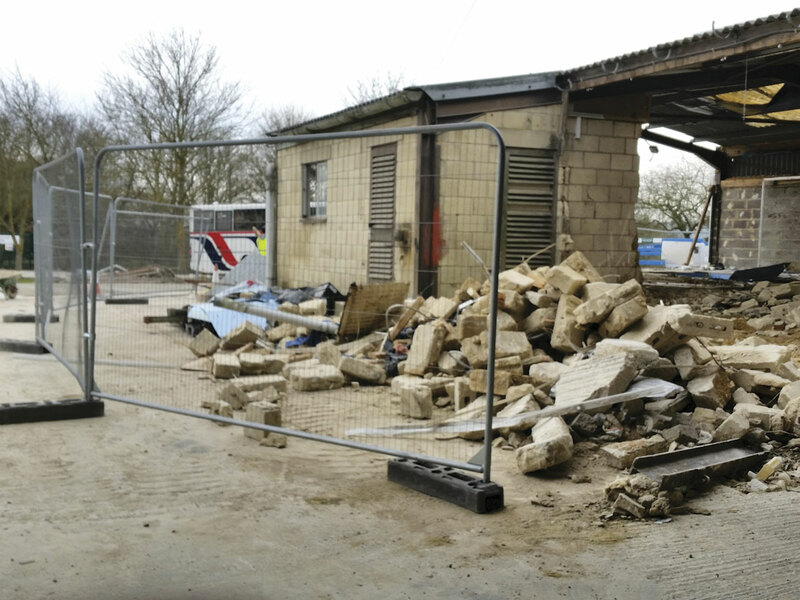 The maintenance side remained at the Bicester workshop until the new base was fully complete. Grayline finally said goodbye to the old depot on 27 February when it took full residence in the new facility. Grayline now has an eight bay workshop, as well as a dedicated ATF lane, which it not only uses for its own fleet but has opened it up to third parties too. Its first day of testing was only a couple of days prior to my visit. 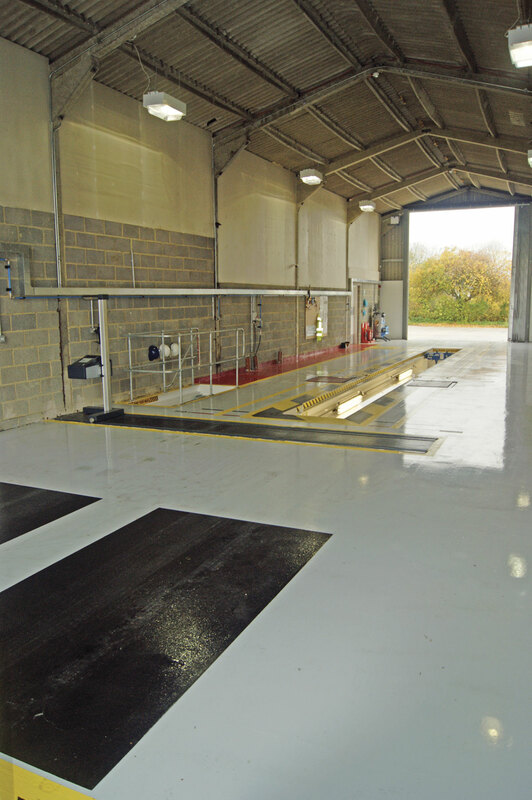 As well as improved maintenance and repair facilities, the new site also gives Grayline more parking room. In the old depot, vehicles had to be parked four wide by three deep. Paul said, ‘If you ever needed a vehicle, you knew it was going to be the one at the back where you have to move two or three coaches just to get it out.’ That is not the case in the new site, with all vehicles easily accessible due to the extra room. The office space is still the same size, but Paul described it as ‘better’. Drivers’ facilities have been enhanced too, with a shower and tea room in place, as well as separate facilities for the engineers. The depot has been ‘modernised and brought into the 21st century’. With the new site now fully occupied, Grayline is looking to hire new staff (see vacancies on our Careers page). Commenting on the location of the site, Paul said he does miss being near the conveniences of Bicester town centre. He said, ‘It was good if you needed the doctors, dentist or just wanted to nip out for a bite to eat.’ However, space is the biggest gain, with one benefit of the new site being that the company now has better staff parking facilities. It also has a newly installed fuel tank and pump from Tokheim, as well as a waste oil burner to warm the workshop. There is space to grow too, with only a proportion of the land acquired being used. There are large expanses of fields to the sides and rear of the building. A wire fence has been erected around the parking area, with a section between the fence and the rearmost part of the paving left bare to facilitate any further growth. Paul looks upon it as ‘future proofing’. There is even a farmhouse on the land, which Paul said he is trying to tempt his wife and family to move into, suggesting to his partner she resign from her current role and start working for the family business. Operationally speaking, even though there are now a couple of dead miles when running into Bicester, the location just off the A41 is an advantage for the firm. It runs stage carriage work, a shuttle service for staff and customers of Bicester Village designer outlet, as well as a park and ride service to the site. The latter has been operated since 2007 and runs every weekend or seven days a week during the run up to Christmas. 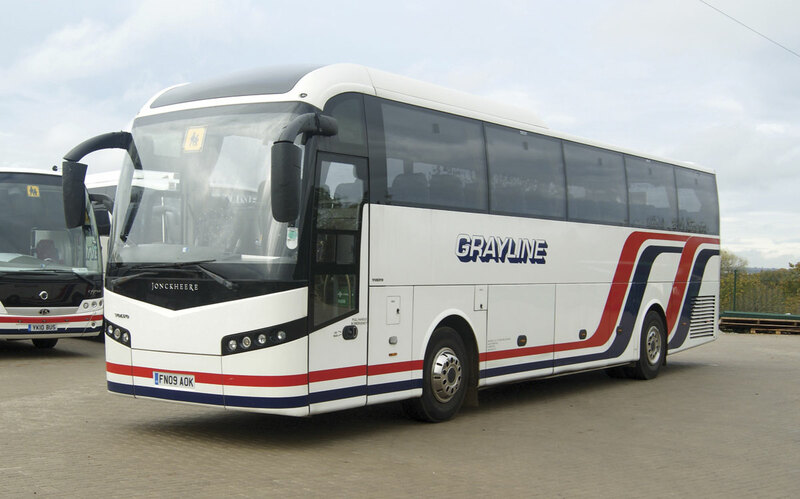 Grayline has differing specification standards for its coaches, with a standard class available, including 53 seats, a PA system and CD player. The touring class has a higher specification, including fridges and DVD players. With the move representing a significant investment in funds and time, fleet renewal has been put into the backburner for the time being. Grayline currently has 22 vehicles, five of which are service buses, including two Optare Solos and three Wrightbus StreetLites. The latter are used exclusively on the Bicester Village contract. They are the company’s second batch of StreetLites, having originally taken a batch in 2010, which were the 9.5m wheel forward version. The following batch and currently the newest in Paul’s fleet are 10.6m door forward models. 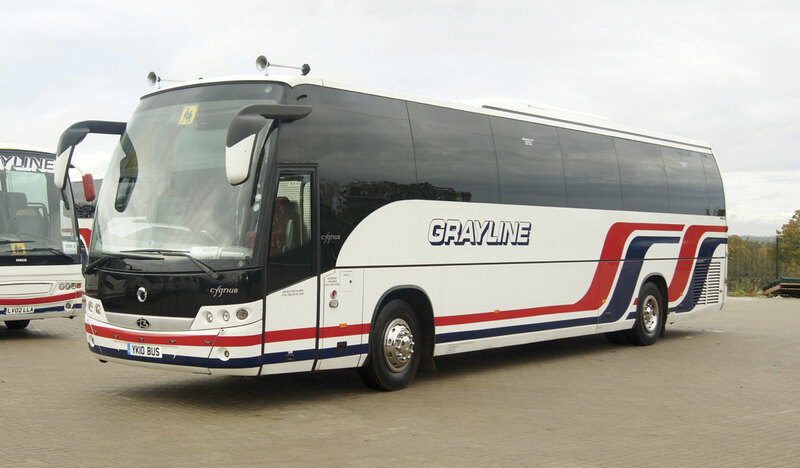 In terms of coaches, Grayline runs a mixed fleet. It has a number of Beulas bodied Ivecos, a couple of MANs, two Mercedes-Benzes and a couple of Volvos. ‘It’s about the right deal on the day. We have no allegiance to a particular brand,’ said Paul. According to Paul, the company likes to buy its buses and coaches, it doesn’t lease. Despite not having the time or funds to purchase new vehicles at the moment, there are plans in the future to add to the fleet. Grayline is currently in the process of procuring new buses for a future contract with a new ‘Ecotown’ being built nearby, which requires low emission buses. Paul is looking at either a Solo or an Enviro200 for the route. There is a lot of stigma attached to the job as well, he claimed. He remembers back to the 70s and 80s when PSV drivers were regarded as professionals, where now he claims they are seen as ‘just a driver’. It’s an exciting time for Grayline, with a new depot complete with room to expand into if needed. It is a big step to take and represents a new chapter in the company’s history, which seems appropriate as it coincides with its 60th year of operation.